So a couple of weeks ago I placed a cheeky little Asos order (and have placed 2 more since - I have a problem! ), and one of the items I had bought was this Asos own brand utility jacket. 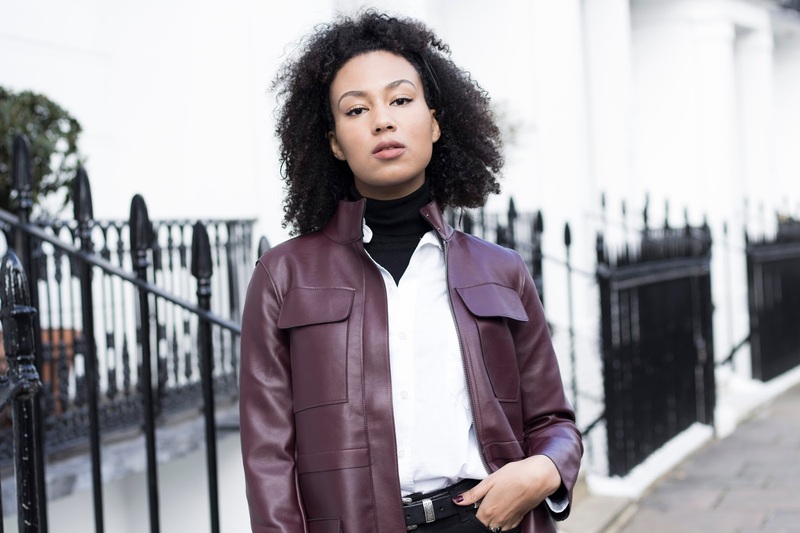 I'd had my eyes on it for a while; I wanted another leather jacket as I wear my black one constantly, too much in fact, and thus thought that this burgundy number would be a great alternative. I love the longline cut and oversized, straight nature of it, as well as, of course, the gorgeous colour. So as soon as it came I wanted to wear it, and therefore took this baby out of a little spin on a day out in London. I wasn't too sure how to style it however; the original plan was to wear it with this white shirt, a faux suede choker, slim fit boyfriend jeans and loafers, but, alas, it ended up being one of those typically deceptive spring days, where it's wonderfully bright and sunny, but as hair raising-ly cold as a day in mid-January. I therefore had to re-evaluate, and ended up trying a new combo by slipping on my trusty turtle neck with the shirt on top. I then put on a pair of ripped black skinnies, my glove shoes, and of course, my Asos shades. 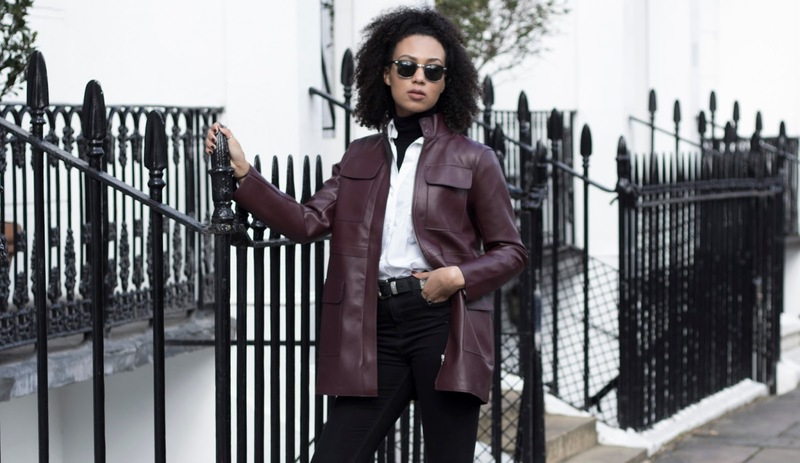 I ended up quite liking this look, I definitely think its on the masculine, perhaps even 'man-repelling' side of things, with the high neck and straight look to the jacket, but that's alright, who doesn't love a little androgyny every now and again? I would still like to style it how I originally planned when it gets a little warmer, would you be interested in seeing that, or is it a little too same-y? Let me know! What do you think of this look? Are you a fan of the shirt/turtle neck combo? I hope you enjoyed this post, stay tuned! Thank you! Yes I have been loving this glove shoe trend, and Asos do such affordable versions! 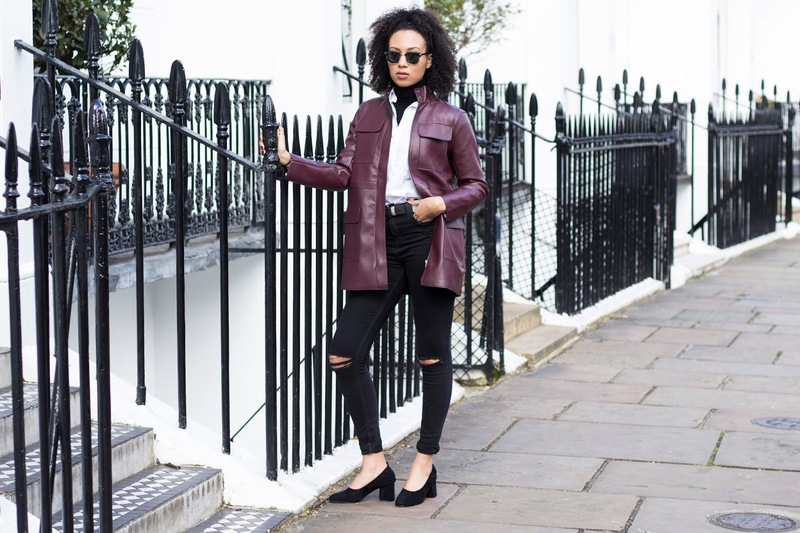 Love how you've styled the jacket, would definitely be interested in seeing how you style it for a warmer day!